Holiday season, but which? 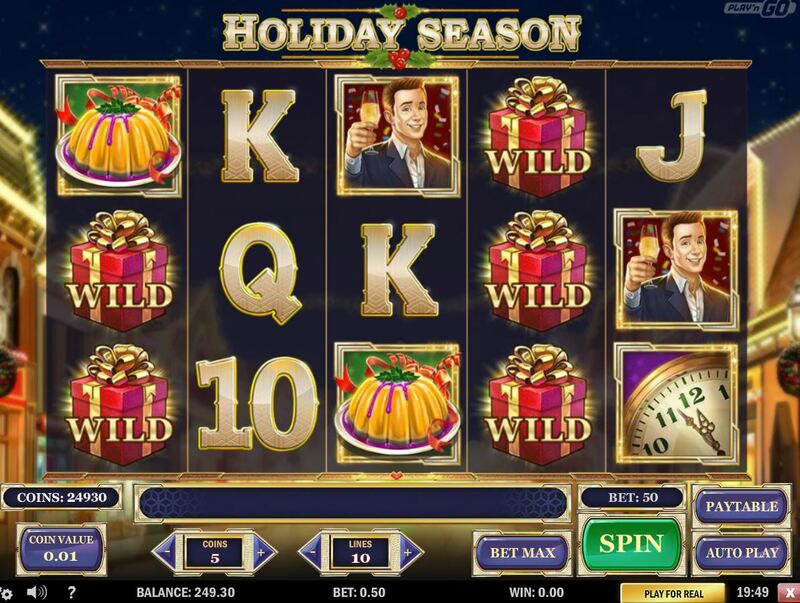 Yes, Christmas is being celebrated by Play'n Go with this slot. Nice festive music accompanies this 10-line 5-reel 3-row slot. Those of you familiar with Play'n Go games will recognize it as a copy of 'Pimped' and 'Royal Masquerade' but those game models proved very popular and of course Netent revamped 'Flowers' with a Christmas Edition. Holiday Season slot has Stacked Wilds on all reels and just a single line will pay a Santa-busting 100x stake for 5-of-a-kind, therefore 1000x stake is possible in the base game. The next highest symbol is the Male character who pays 75x stake right down to the lowest card symbol at 5x stake. There are champagne bottles on all reels which act as the game's scatters. Well, Holiday Season slot has one bonus triggered by 3 or more Champagne scatters anywhere. You are awarded 5 free games all with a guaranteed win. There is a retrigger to a maximum of 3 therefore 20 spins is the best gift on offer, but the great news is that there seems to be more Wilds about and furthermore one Champagne scatter will earn you 2 extra spins, 2 will get you 4. This is the likely way you'll be awarded the maximum 20 winning games!